Download the estimating tool now. It's Free! As the owner of Kevin Ball Auto Body I would like to personally assure you that my team of craftsmen are with out a doubt, the very best in the area to restore your car, truck, boat, rv, or whatever you drive… to its pre-accident condition. I can back this statement up with over 25 years of satisfied customers. We will provide a FREE Estimate for your vehicle repair, paint, or other auto body need and the best part is you don't need an appointment for an estimate! Stop by our office or use our easy app to get a quick quote at your convenience. As the leader in our area for training and technology you can have confidence in our repairs to your vehicle. We are I-Car Gold and certified by more manufacturers than any other shop in our area-We care about fixing your car right! Our commitment to customer service and quality repairs will make you “Wreck Ammend” Kevin Ball Auto Body to all your friends! From the smallest ding to major repairs, our dedication to customer service, satisfaction, & changing technology has kept us in the forefront of our industry since our first year in business more than two decades ago. KEVIN BALL AUTO BODY will provide a free estimate for your vehicle repair, paint, or other auto body need and there’s no appointment needed! 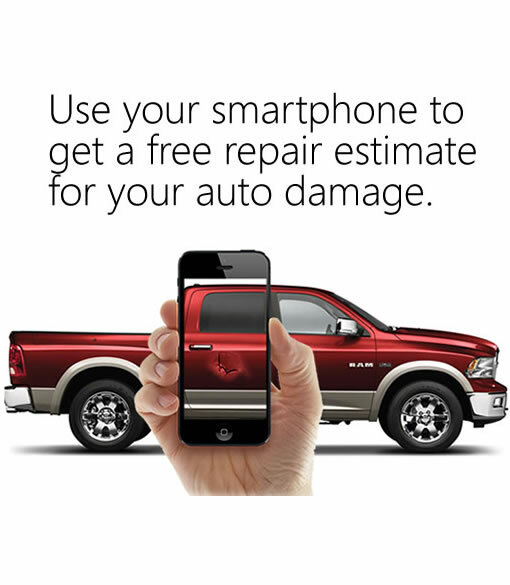 You can also use our app on your smart phone to get an estimate now! Windshield chip repairs can be completed while you wait and if you need glass replacement for your windshield or side glasses we can do that too! We are happy to work with your insurance or accept customer pay also! We offer Paintless Dent Repair services which can be a huge savings if you need a small dent or hail damage removed. Our PDR specialists are local and guarantee all their repairs! If you need wheels to get around while your vehicle is undergoing repairs we can help with that! We have a rental car partnership with Enterprise Rent-a-Car. They’ll be here to put you in a car when you drop yours off! Kevin Ball Auto Body offers a range of detail services to meet your specific needs…everything from a quick basic wash to a deluxe detail package. Consider giving a Gift Certificate for the person who has everything!